Save money on Photoshop, Illustrator, Adobe XD, Dimension and more. 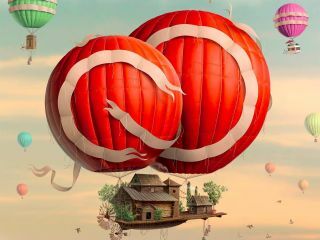 When it comes to finding Adobe deals, discounts on Creative Cloud can be few and far between. But great news for designers, illustrators and artists: we’ve teamed up with Adobe to offer Creative Bloq readers a special 15% discount on Creative Cloud membership. Instead of paying the usual US$49.94/£49.94 every month, you’ll pay just $42.46/£42.46 for the first year. So if you’ve been debating whether to sign up, now’s your chance to get hands-on with Adobe’s stellar suite of world-class design tools – and save some cash in the process. The offer is valid from now until 13 May 2018, and includes Adobe’s entire suite of desktop and mobile apps for Mac and PC, from essentials such as Photoshop CC to next generation tools such as Adobe XD CC. As you’ll know, these programs are fully integrated, meaning you can work between them (and devices) seamlessly – whether you’re out and about or in the studio. Built-in templates help you jump-start your designs, while step-by-step tutorials will help you sharpen your skills and get up to speed quickly. Your Creative Cloud subscription also gives you 20GB cloud storage allowance, making it easier than ever to create across multiple devices and collaborate by sharing files with others. This special deal is a limited offer, though – it expires on 13 May, so don't miss out.